I. TERMS AND CONDITIONS FOR APPLICATION UNDER P.S.C. In accordance with the “Petroleum Law (Exploration and Production)”, No. 7746, date 28.07.1993, which authorizes the Ministry to enter into a Petroleum Agreement with foreign and/or local companies, in order to invest for petroleum exploration and production in territory of Albania, the Ministry of Infrastructure and Energy, through the Order of Minister no. 661, dated October 01, 2018, as amended by order no. 768 dated 01.11.2018, offers Block 5 onshore for exploration. Interested parties are invited to submit applications for this block. 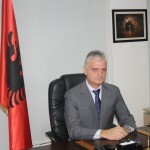 All petroleum deposits existing in their natural condition in strata lying within the jurisdiction of Albania are the exclusive property of the Albanian State. Petroleum agreement will be in the form of Production Sharing Contracts signed between the Ministry of Infrastructure and Energy, represented by the National Agency of Natural Resources (AKBN), and the Contractor. The most important items of PSC are given in the “Petroleum Law”, No. 7746, date 28.07.1993, as amended, and other documents as mentioned below. The duration of the exploration period is up to 5 years and can be extended up to 7 years in conformity with the “Petroleum Law”. The exploration period is divided in three phases, with work obligations and the corresponding financial commitments for each of them. The contractor can’t follow the subsequent phase without completion of work obligations or the corresponding financial commitments. The duration of each phase of Exploration Period is subject to negotiations. These obligations will be defined by the Contractor in its application to AKBN and are subject to negotiations before the signing of the Agreement. In case of a commercial discovery, the period for development and production of the area shall be twenty-five years and can be further extended as provided for in the “Petroleum Law”. D Training and Administration Funds. The amount will be specified by the Contractor in its application and is subject to negotiations. The terms for cost recovery, cost limit, R factor and petroleum sharing will be specified by the contractor in its application, subject to negotiations with AKBN before the signing of the Agreement. F The Contractor shall have the right to receive and retain abroad the proceeds from its export sales to the extent that they are not required to meet on a current basis its local currency costs in Albania. The Contractor shall have the right to convert foreign currency into local currency at the generally applicable rate of exchange for commercial transactions. Under the Petroleum Sharing Contract the Bonus is payable in various stages, including the signature bonus. The production bonus and the signature bonus are subject to negotiations. All the above terms should be in the Contractor offer, and will be subject to negotiations between the parties. The deadline for the submission of applications is within 90 days after the publication of this notice of application. A By sealed envelope delivered by registered mail, or by hand. C There is no application fee. Presentation of applications shall be in accordance with the provisions of Item II below, taking into account the specific terms and conditions specified in the “Petroleum Law”, No. 7746, date 28.07.1993 and the Decree of the President No. 782, date 22.02.1994. National Agency of Natural Resources, Bul. Bajram Curri, No. 18, Blloku Vasil Shanto, Tirana, Albania. After having examined the application received, AKBN will invite for negotiation the applicant in due time. It is the intention of AKBN that once contracts are negotiated and agreed upon by both parties, they will be entered into as soon as possible. An application will be presented in a sealed envelope. 3.1 The contract area to which the application applies. 3.2. A The name of the applicant in full. 3.2. B The nature of its business. 3.2. C The place of incorporation. 3.2. D The countries in which the applicant or applicants operate. 3.3. A Duration of exploration periods. 3.3. B Minimum exploration work obligations and financial commitments. 3.3. D Cost recovery, cost limit, R factor and the petroleum sharing. 3.4. Each application may contain the applicant’s technical evaluation of the area and an explanation of the adequacy of the proposed minimum work commitment in support of the Contractor’s exploration concepts for the area. Petroleum Exploration, Development and Production in Albania is governed by the “Petroleum Law (Exploration and Production)”, No. 7746, July 28, 1993, as amended; the Law No. 7811, April 12, 1994, “On Approval of the Decree No. 782”, February 22, 1994, “On the Fiscal System in the Hydrocarbons Sector (Exploration and Production)”; and the Law No. 9975, July 28, 2008, “On the National Taxes”. The legislative framework guaranties considerable incentives to attract international oil companies and thus stimulate oil exploration in the country, and gives enough flexibility to the contractors for negotiating acceptable contracts. “The Petroleum Law (Exploration and Production)” expressly permits the Ministry of Infrastructure and Energy to enter into a Petroleum Agreement, under which an oil company may be granted exclusive rights to explore for and produce oil and gas. The Government’s objective is to negotiate terms with the petroleum industry, which are fair and balanced, bearing in mind the usual risk associated with exploration and the State’s legitimate right for revenues as owner of natural resources. At the same time based on the fiscal law the Albanian Government pursue to encourage the development of small and marginal discoveries. A.1 According to “Petroleum Law”, “Petroleum Operations” means all or any of the operations related to the exploration for development, extraction, production, separation and treatment, storage and transportation and sale or disposal of petroleum up to the point of export, or to the agreed delivery point in Albania or the point of entry into a refinery and includes natural gas processing operations but does not include petroleum refining operations. A.2 Hydrocarbons existing in their natural state are the property of the Albanian State. The Government represented by the NATIONAL AGENCY OF NATURAL RESOURCES (Decision No. 547 dated August 09, 2006) authorizes the performance of petroleum operations by the National Oil Company (ALBPETROL) in its exclusive areas, or a Contractor in remainder of the territory of Albania. The NATIONAL AGENCY OF NATURAL RESOURCES is authorized to make available to interested oil companies the existing geological and geophysical data on the free areas in order to give oil companies the opportunity to evaluate the data before submitting applications. A.3 The contract type is the Production Sharing Contract (PSC) between NATIONAL AGENCY OF NATURAL RESOURCES, acting on behalf of the Albanian Government, and the Contractor. According to the “Petroleum Law”, “Production Sharing Contract” means a Petroleum Agreement which provides for the recovery of Contract Costs from Petroleum produced in the Contract Area or from a proportionate part thereof, and for the division between the State and the Contractor of the balance of petroleum remaining after the recovery of Contract Costs in accordance with a scale or formula specified in the Petroleum Agreement. A.4.1 The performance of a minimum work program, backed by a performance guarantee. A.4.2 The presentation of an annual work program and budget. A.4.3 Preference given to local employment and supplies during petroleum operations, where these are competitive in terms of quality, availability and cost. A.4.4 The opportunity for local service companies to bid and preference given to them when the offer is comparable or better than other third parties. A.4.5 Indemnify the State or the Ministry against all claims made by third parties in respect of injury, loss or damage resulting from the conduct of any operation carried out by the Contractor or by any subcontractor. A.4.6 “The Petroleum Law” deals with access to private land after giving the occupier and the owner a minimum time notice. However, the Contractor must pay fair, just and equitable compensation with regard to any disturbance or damage caused during the conduct of petroleum operations. A.4.7 The P.S.C. provides for the establishment of a training and administration fund, which is used for the training of NATIONAL AGENCY OF NATURAL RESOURCES employees, and for administrative purposes. A.4.8 The Contractor shall conduct petroleum operations in a safe and proper manner in accordance with generally accepted international petroleum industry practice and shall cause as less damage as is reasonably practicable to the general environment including (inter alias) the surface, air, seas, lakes, rivers, marine life, animal life, plant life, crops, other natural resources and property, and shall forthwith repair any damage caused to the extent reparable, and shall pay reasonable compensation for all damage which is beyond repair. B.1 Under the petroleum agreement the Contractor is authorized to conduct petroleum operations during an Initial Exploration period, which can be extended. It is preferred that the Exploration Period includes a drilling commitment by the Contractor. B.2 If the Contractor declares a commercial discovery during the exploration period, it has the right to extend for a development/production period of twenty-five years, which can be prolonged according to the “Petroleum Law”. B.3 During the exploration period, the Contractor is subject to minimum work programs and expenditure obligations. In the case of either the Initial Exploration period or the additional Exploration period expiring and the Contractor not having fulfilled its obligations for the staid period, the Contractor must pay to the Government the monetary equivalent in respect of the work not carried out. All monetary obligations are expressed in US Dollars. B.4 Before the end of each Contract year, the Contractor must submit and present to NATIONAL AGENCY OF NATURAL RESOURCES the exploration program and budget for the next Contract year. NATIONAL AGENCY OF NATURAL RESOURCES may suggest modifications to the said work program and budget and the Contractor shall implement them when found in accordance with good international petroleum industry practice. B.5 In the event of a discovery, the Contractor shall notify NATIONAL AGENCY OF NATURAL RESOURCES and evaluation of this discovery will be carried out pursuant to an approved appraisal work program. After appraisal, the Contractor will declare to NATIONAL AGENCY OF NATURAL RESOURCES the commercial implications of the discovery. B.6 If the Contractor considers the discovery commercial, the area in respect of that commercial discovery is set apart from the Contract area as a Development Area. The Contractor prepares then a development plan, which is submitted for approval by NATIONAL AGENCY OF NATURAL RESOURCES. B.7 For the exploitation of discovered marginal fields, or fields that have become marginal due to their exploitation, pursuant to Decree No. 782, of February 22,1994 “On the Fiscal System in the Petroleum Sector”, the Council of Ministers may issue special decisions to alleviate the fiscal system in order to render possible the exploitation of the marginal fields. B.8 In the case of an oil discovery together with the flow of associated gas, the Contract considers the utilization of such gas. (Provisions concerning the flare and use of such gas either in petroleum operations or in the local economy are open for negotiations). B.9 Contractor has the right to develop and produce the natural gas discovered in the Contract Area. Preferably such gas will be utilized in the internal market or exported. In case of a commercial Natural Gas discovery, NATIONAL AGENCY OF NATURAL RESOURCES and the Contractor will negotiate additional terms in the P.S.C, which will endeavor to ensure that the proportion of economic returns for both parties is similar to that for an oil discovery. NATIONAL AGENCY OF NATURAL RESOURCES may process and utilize the natural gas with no compensation to the Contractor where the Contractor considers that either the natural gas is not required for use in petroleum operations, or there is no possibility of exporting it, or its utilization is not economical. According to the “Petroleum Law”, if a petroleum reservoir is located partly in the Contract Area and partly in another Contract Area and where it appears to the Ministry that gains in efficiency may be achieved through the joint development and operation of that reservoir, the Ministry shall have the right to order the Contractors to develop and operate the reservoir jointly under an agreement entered into by them for that purpose. 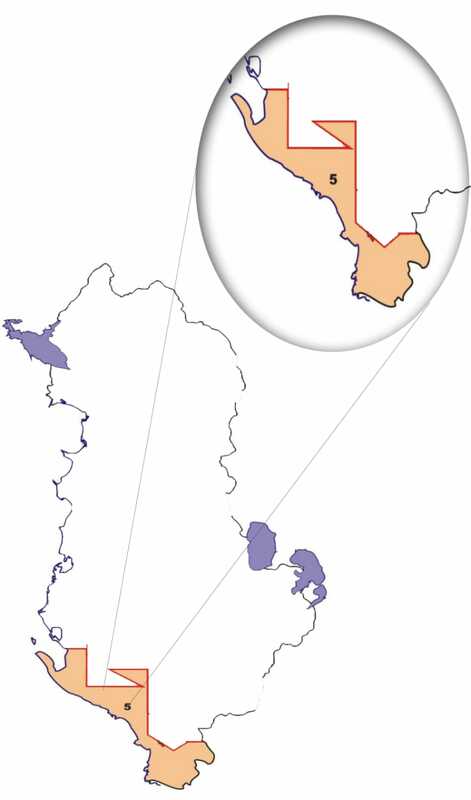 If at any time during which a Petroleum Agreement is in force the petroleum bearing strata in the Contact Area, forming part of a single Commercial Discovery, overlap an area over which the Government of Albania has jurisdiction and in respect of which no contact or license has been entered into or is in force, the NATIONAL AGENCY OF NATURAL RESOURCES and Contractor shall enter into an agreement to enlarge the Contact Area accordingly and to provide for the proper development of the Commercial Discovery. C.1 All the expenditures related to the petroleum operations are recoverable only in the case of a commercial discovery but not before the start-up of production. C.2 Operating expenditures are recoverable during the year in which they are incurred. “R” Factor shall mean and be calculated as the ratio of CONTRACTOR’s cumulative receipts from the Effective Date until the end of the preceding Calendar Year to the CONTRACTOR’s cumulative expenditures incurred from the Effective Date until the end of the preceding Calendar Year. C.5 The Contractor is subject to tax on profit, according to the Law No. 7811, April 12, 1994, “On approval of Decree No. 782, February 22, 1994, “On the fiscal system in the hydrocarbons sector (Exploration-Production)”, and the Royalty according to the Law No. 9975, July 28, 2008, “On the National Taxes”. The tax is at the rate of 50% of the realized profit and the Royalty is 10 %. C.6 In compliance with the above mentioned Law, The NATIONAL AGENCY OF NATURAL RESOURCES takes the Government’s tax and/or its share of profit oil in cash or kind. C.7 The Contractor shall have the right to receive and retain abroad the proceeds from its export sales to the extent not required to meet on a current basis its local currency costs in Albania. The Contractor shall have the right to convert foreign currency into local currency at the generally applicable rate of exchange for commercial transactions. D.1 The Contractor and its sub-contractors are allowed to import into Albania all equipment and materials required for use in petroleum operations provided that NATIONAL AGENCY OF NATURAL RESOURCES has certified that equipment and materials are to be used solely in petroleum operations. By the Law No. 92-2014, the Contractor and his sub-contractors, engaged in petroleum exploration activity, are exempted from the customs and VAT duties and obligations either for the imported goods and services or services provided by the local market. D.2 The Contractor may export the share of production to which he is entitled. D.3 The Contractor may assign all or part of its interest under the contract to any affiliate or third party, which assignation is subject to a guarantee for the performance of Contractor’s obligations to be submitted by the assignee, as well as subject to the consent of the NATIONAL AGENCY OF NATURAL RESOURCES. D.4 The petroleum agreement and petroleum operations are governed by the laws of ALBANIA and the generally accepted practices of International Oil Industry. D.5 Arbitration shall be in accordance with the UNCITRAL arbitration rules. D.6 All international oil industry investments are fully protected (as are all foreign investors) pursuant to Law No. 7764, November 22, 1993, “On Foreign Investments”.